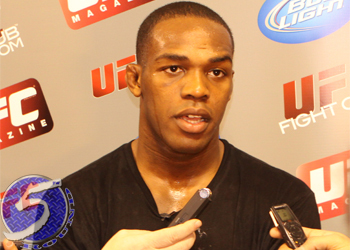 Nineteen long days have passed since light heavyweight king Jon Jones (Pictured) declined a last-second scrap against Chael Sonnen to salvage UFC 151, which ultimately forced Dana White to cancel his first event since becoming UFC president in 2001. While Jones has already been issued a new assignment and White has softened his stance against his latest golden boy, the two sides have yet to sit down and hash things out. White initially lambasted Jones and his coach, Greg Jackson, for their decision to turn down Sonnen, but it seems Jackson is now the main culprit caught in White’s crosshairs. Because Dan Henderson was forced out of their September 1st showdown with a torn MCL in his knee, Jones now defends his throne against Vitor Belfort at UFC 152.